Road Tripping – These Two Eyes! On September 26, 2012 my New Jersey state driver license expired. For months leading up to this day anxiety had been seeping in. I doubt I’ll ever drive again, I thought. It began back in 2006. Yes, I know, 6 whole years ago! I cleaned out the interior of my Hyundai Elantra hatchback, parked it at the top of the drive, locked the doors and barley looked back. Mere hours later I was on a plane to London where I’d live for the next 12 months. Public transport became my haven. It felt like nearly every other weekend I was catching a bus at 4 am to a remote airport to fly a budget airline to a random European city where I would hop on a train to get downtown where Id ride a ferry down the river to admire the views and then walk back to my hostel. Yes, public transportation very much so became my haven. I returned to the US in April 2007 and took my good old hatchback for a few spins around southern New Jersey while painfully interviewing for jobs. But just one month later I relocated up north, and became one of them city folk. A Car! What car? All I heard amongst the sirens and horn beeps was hassle. City parking meant street cleaning on the 4th day at 3rd hour of the week each month. And who wants to move their car every week? Or drive around the block 15 times until your head explodes and you start imagining that your car is smaller than it really is and maybe, just maybe it will fit in between the yellow lines very close to the fire hydrant but really, what are the chances they’ll need to use it today? But it doesn’t fit anyway. No way I say. See you for good Hyundai Elantra. 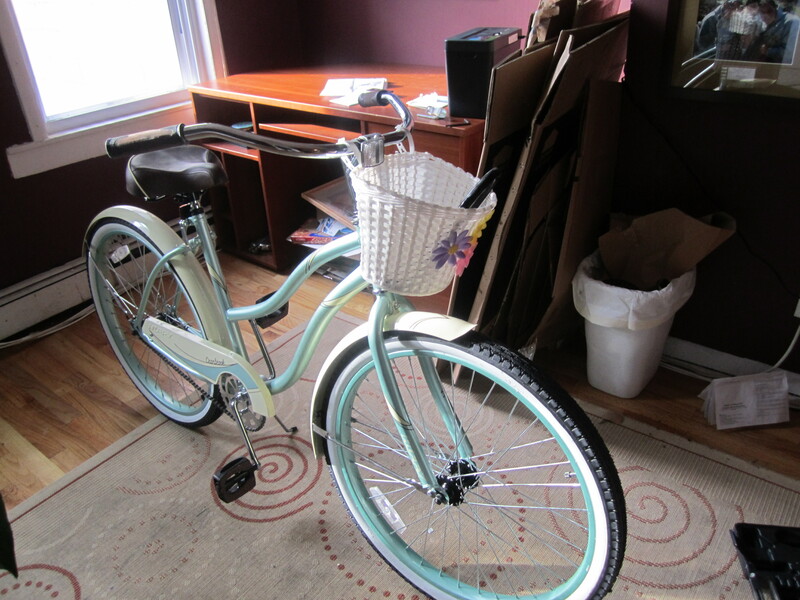 So I got a bike. And I loved it. And I rode it to work every day. Up the hills, on the sidewalks, to the bars, and safely locked it out front of the gate next to my brownstone’s stoop. And nearly every other weekend for someone’s birthday, engagement, shower, wedding, fiesta, just because I’m your friend/related to you I was on the Bolt Bus traveling from 34th and 8th in Manhattan to the parking lot of Red Lobster outside the Cherry Hill Mall. It costs $12, has leather seats and free Wi-Fi, and beats battling my own personal road rage. Back in town though I took the subway, and cabs, and my own two feet when not on bicycle. And it worked. For four whole years. 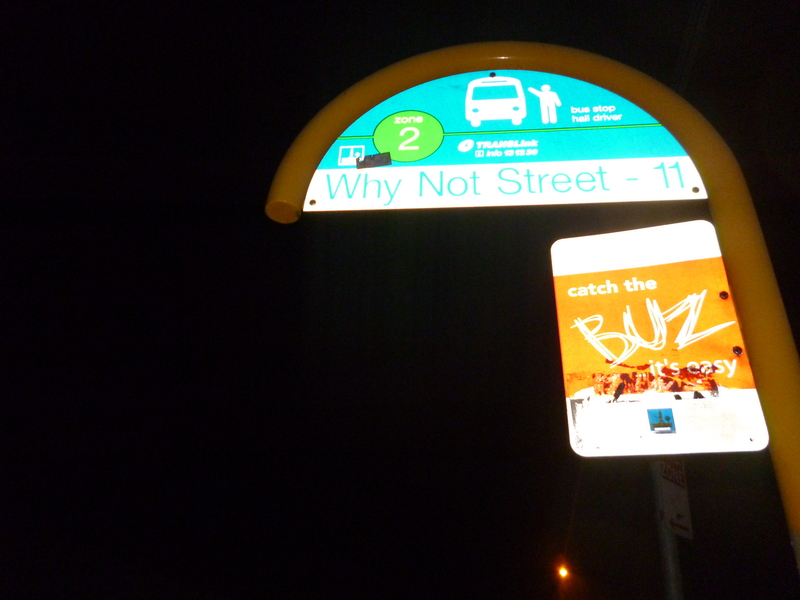 Then in May 2011 I arrived in Brisbane. And I said again, a car, no way! Not me…I haven’t driven in years. You don’t want me driving on the other side of the road anyway. So I take two buses to work. It takes 30 minutes, but if I walk home it takes 45. I also take the train, rarely the ferry, and too often a much overpriced cab. And it seems to go okay. But then September 26 started approaching. I searched high and low the New Jersey DMV’s website and it seemed impossible to get a license renewed when living abroad on a foreign visa. So then then I thought I’d renew it when back in the States last, but then I realized I’m ‘technically’ now a resident of Pennsylvania, and that’s a whole other piece of sticky red tape. So, I came to terms with the fact that I may never drive in the foreseeable future. Or at least, in order to do so I may actually have to take the driver’s test again. Gulp. Who knew though, apparently the people who informed me did, that getting a Queensland driver license was as simple as pie? It’s okay that I haven’t driven in 6 years, and have never driven on the left hand side of the road, and cannot drive a manual car. I walked into their Department of Transport, handed over my passport and nearly expired New Jersey license, paid $250 for a 5 year licence, and wallah! I am still a licensed driver for the next 5 years now under an Australian driver’s license. But, you’re not allowed to smile. They’re very strict about this one element of it. Next week the true test comes into to play. I’m traveling to South Africa, have a reservation booked for Avis rent-a-car and will be road tripping the Garden Route from Cape Town to Port Elizabeth with a friend. 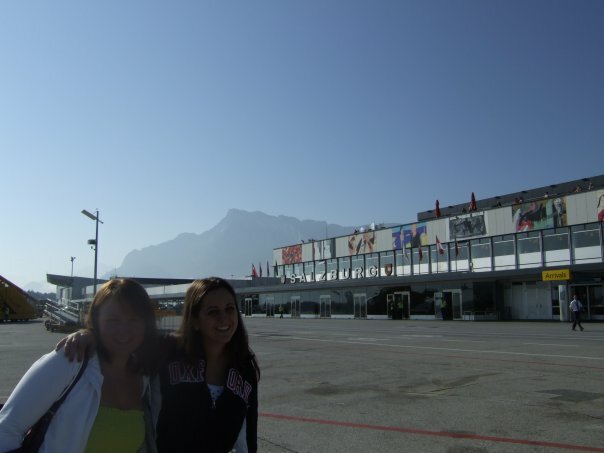 A friend, who very similarly moved to London in 2006 (pictured with me at the Salzburg airport in fact), and has been living in Manhattan ever since. What I’m getting at is that we’re in the same boat. The good news is they say it’s just like riding a bike, something I’m proud to say I am very good at!